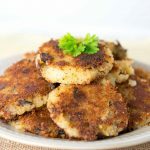 Make the most of leftover mashed potatoes with a quick and easy recipe for leftover mashed potato & bacon patties. They are so good, you’ll want to make sure you have some leftovers next time you make mashed potatoes. They are great for breakfast along with some greens and slices of avocado. Perfect healthy start for the day! 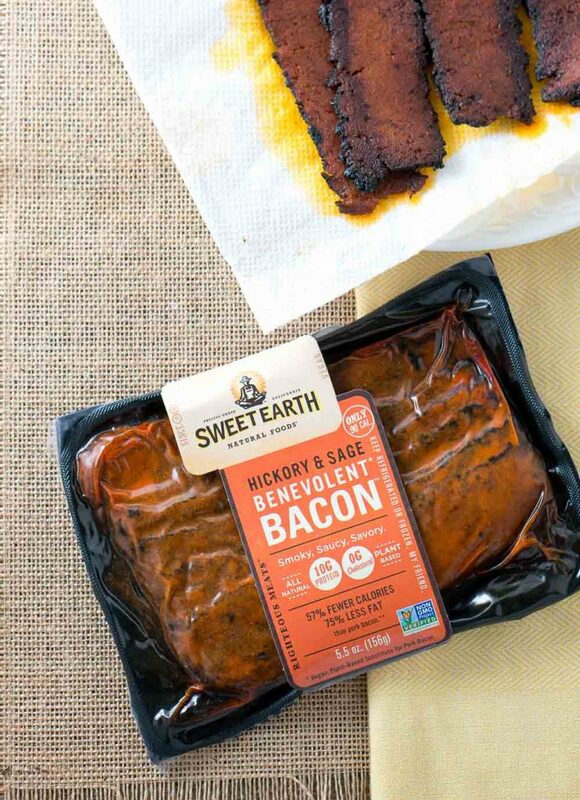 Today’s recipe is made with Sweet Earth bacon. I was excited to find out that their bacon is perfect for vegans and vegetarians, as I know I have a lot of readers who have requested more vegetarian recipes. Have you heard of Sweet Earth? They have organic, plant-based, nutrient dense vegan and vegetarian foods. Besides breakfast meats, Sweet Earth also offers burritos, sandwiches, burgers, savory grounds and more. You can find it in the refrigerated or freezer section of your local grocery store. I found it at my local Whole Foods but you can check their store locator and find it at a local store near you. Don’t forget to print out the $1 off coupon they offer right now. This bacon is great not only for vegans and vegetarians but also for anyone who is looking for plant-based recipes or who wants to slim down in 2017! 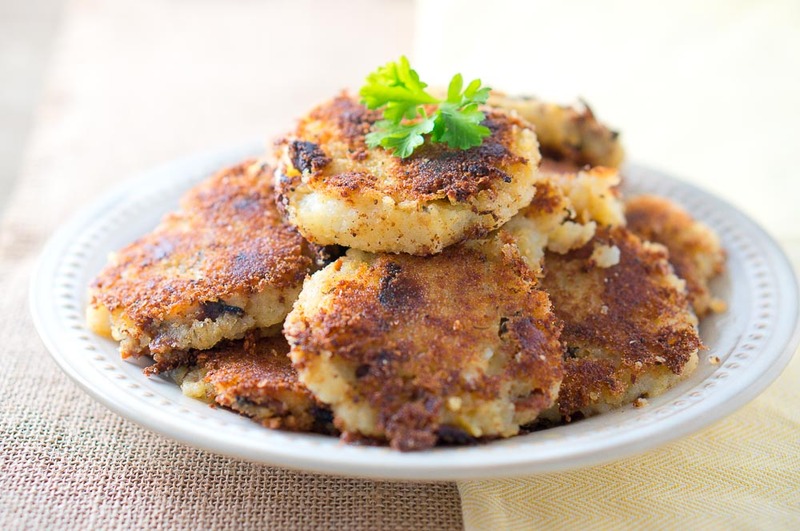 These leftover mashed potato & bacon patties are fully plant based and big on flavor! The bacon is the star of the dish and it adds so much flavor. As the package says, it is smothered in hickory sage sauce and it is smoky, saucy and savory. The rosemary, cumin, and garlic add an extra burst of flavor. It also has 10 grams of protein and 75% less fat and 57% fewer calories than pork bacon. The bacon is very easy to prepare and is great as part of your breakfast. 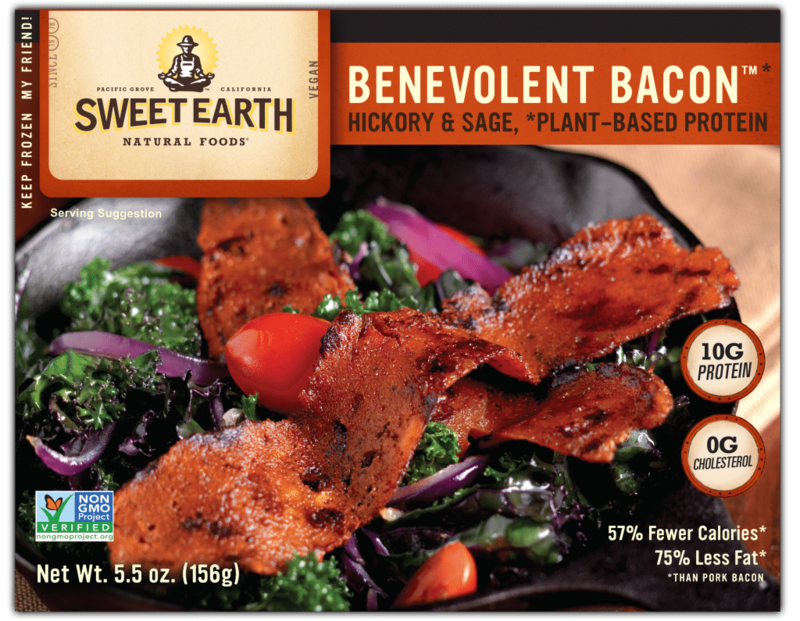 When preparing your Sweet Earth Benevolent Bacon you should use an electric skillet set to 375° F. Allow skillet to come to temp and lightly oil with cooking oil (not spray). Cook Benevolent Bacon for 2-3 minutes per side, turning only once. As it cooks, periodically check the underside and look for discoloration and a dryer overall appearance. The color will become a darker red and may even begin to have some dark brown/black spots or edges. Turn and repeat for the remaining side. Remove from skillet and set aside to cool. The bacon will also continue to become crisper as it dries/cools. 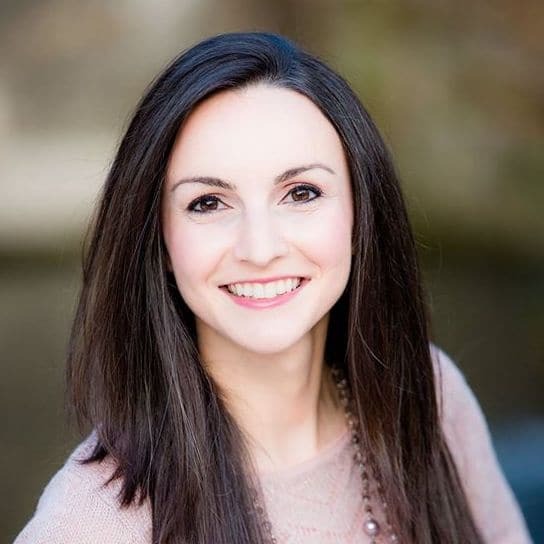 Be sure to check out SweetEarth’s website and follow them on Facebook, Twitter, Instagram, and Pinterest. 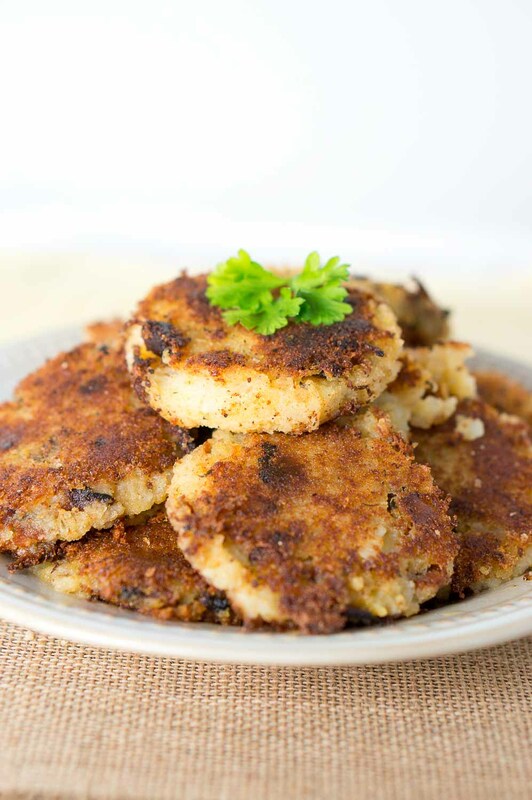 Make the most of the leftover mashed potatoes with a quick and easy recipe for leftover mashed potato & bacon patties. Perfect for breakfast! In a large mixing bowl, mix together the mashed potatoes, cooked bacon and season with salt and black pepper. Measure out 1/4 cup level amount of potato & bacon mixture. Using your hands, form patties and coat them with breadcrumbs on both sides. Place the patties on a baking sheet. Heat oil in a large non-stick skillet over medium to medium-high heat. Cook 5 patties at a time for about 2 - 3 minutes on each side. Check the bottom side to make sure the patties don't burn. Don't overcrowd the pan as it makes it difficult to handle. Place cooked patties on a paper towel lined plate, and continue cooking the rest of the patties. Disclosure: Today’s post is sponsored by Sweet Earth. As always opinions are 100% my own. Thanks for supporting the brands that allow me to create new and delicious recipes.